Best Companies has voted us as an ‘Outstanding’ place to work, which is a pretty strong review. However, if it were up to me then I would award Currencycloud the best place to work. In the whole world. Ever. But then perhaps I am a tad biased. 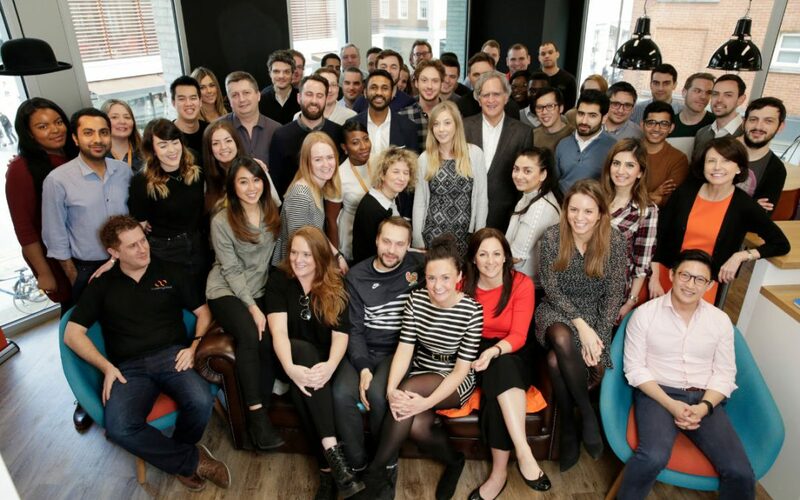 I started with Currencycloud three years ago and I’ve seen us grow from a small start-up with just 40 people, to a high-growth company with 124 employees across our London and New York offices. The people I have the pleasure of working with are passionate, smart and committed, and Currencycloud has become a company that I am truly proud to work for. So, what makes us so great? Well, get comfy, this is a subject I could talk about all day. Here at Currencycloud we value our people. We don’t employ yes men (or women) – employees are encouraged to speak up with new ideas, give their opinions and challenge the norm. We invest in our people and promote from within, I have witnessed some really promising talent in the making climb up the career ladder to become super strong leaders whilst they’ve been with us. The opportunity to learn, grow and really make your mark is what Currencycloud is all about. This is why we put in place our development programme. We believe that all our employees have the potential to grow, both in their work and personally so we endeavour to provide opportunities for both career and personal development. For example, we’ve introduced a credit based system where every employee has five credits each year to put towards a range of role specific, management and soft skills training. To support our internal development strategy, we’ve developed our ‘Inspire’ Personal Development programme – a series of inspirational talks throughout the year from a wide variety of professionals across all sectors designed to inspire and motivate our own employees with their career plan. We want to give our people the opportunity to learn and grow, improve their skills and in turn increase their confidence and reduce stress. Plus, millennials love to learn and that’s 88% of us here at Currencycloud! It’s not just career development that we’re passionate about. We’ve put in place some great initiatives over the past couple of years to ensure we can continue to attract and retain our amazing talent. If you interview with us at Currencycloud, you’ll have the opportunity to speak to not only the direct manager of the role, but colleagues you’ll be working closely with from across the business as well as team members. Cultural fit is massively important to us, so we’ll be assessing that too. We want to ensure that all new employees share our values and will fit with the culture we have so proudly created. From our extensive and varied benefits package, (Bupa Health cover, pension, regular social events, charity days, your birthday off etc. ), and our Golden Goat employee recognition award, to our X-Box, bean bags, scooters, free fruit (and sweets!) and themed weeks, we work hard to make this a fun working environment, which is pretty important if you ask me. One example of this was our Health & Wellbeing week last summer. As a responsible employer we wanted to ensure that our employees understood the dangers of stress. This is not the environment where we expect our teams to work until 10pm each night and we wanted to educate our people on the benefits of looking after both their physical and mental health. Therefore, we were keen to hold a series of events, such as free fitness classes, reflexology & massages, wellbeing workshops, healthy snacks and nutrition demos, that highlighted the importance of this. We’ve put in place some really exciting initiatives over the past few years and we don’t plan on stopping there. Our people have made Currencycloud a success so why wouldn’t we continue to support, develop and educate our workforce? Without them we simply wouldn’t be an ‘Outstanding’ place to work. Check out what open job opportunities we have.